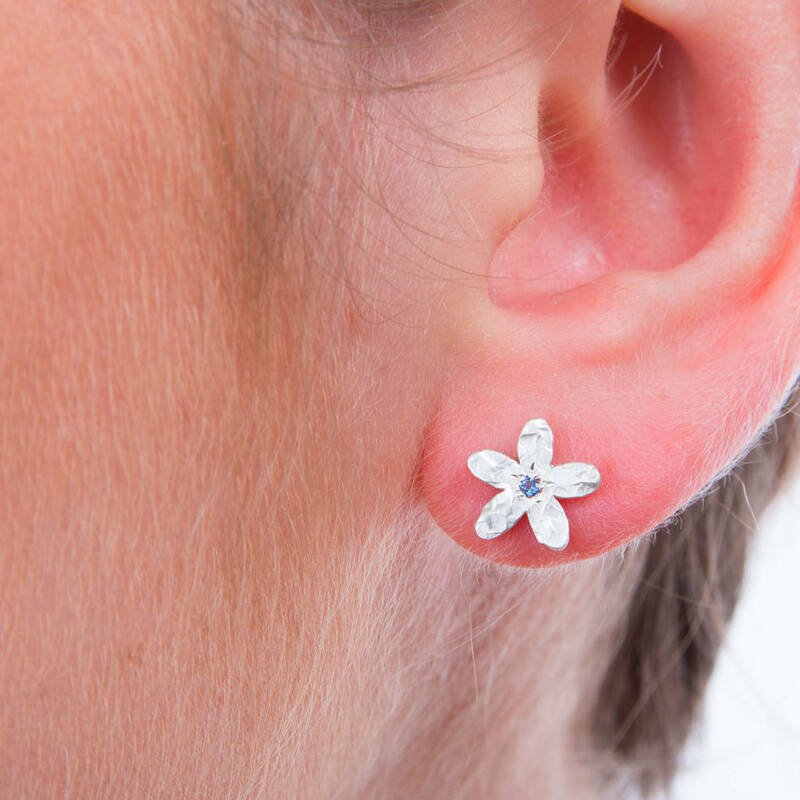 These hand made ear studs have been designed with the inspiration and disclipine of the Arts and Crafts movement. The planished,satin finished surface is reminiscent of the style employed by The Guild of Handicrafts members like Ashbee and Fisher. These ethically sourced precious gemtones are of the highest quality. 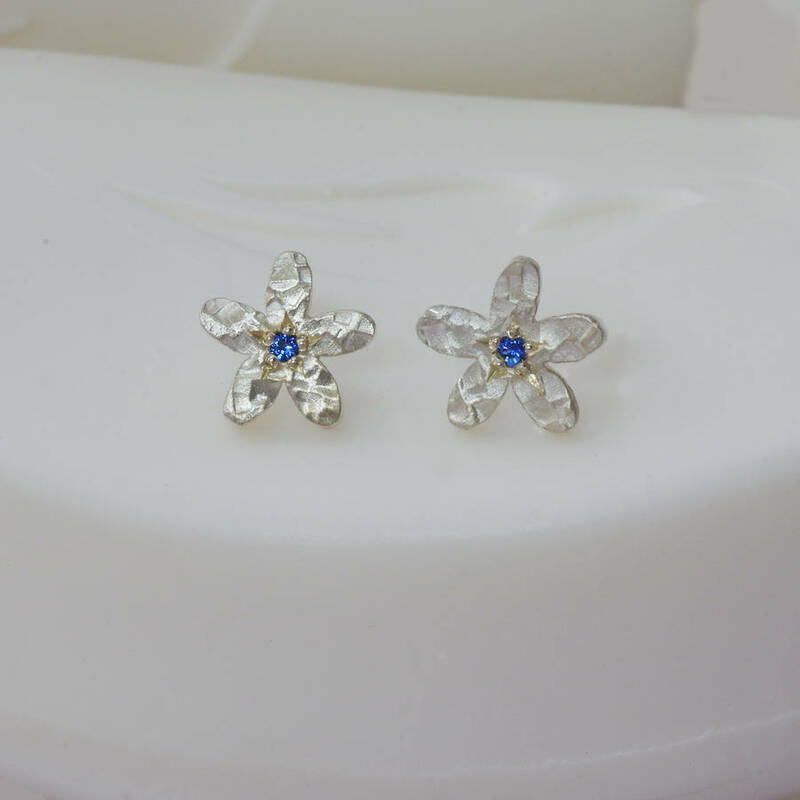 These earrings are also available with gemstones of your choice.Please submit an enquiry. 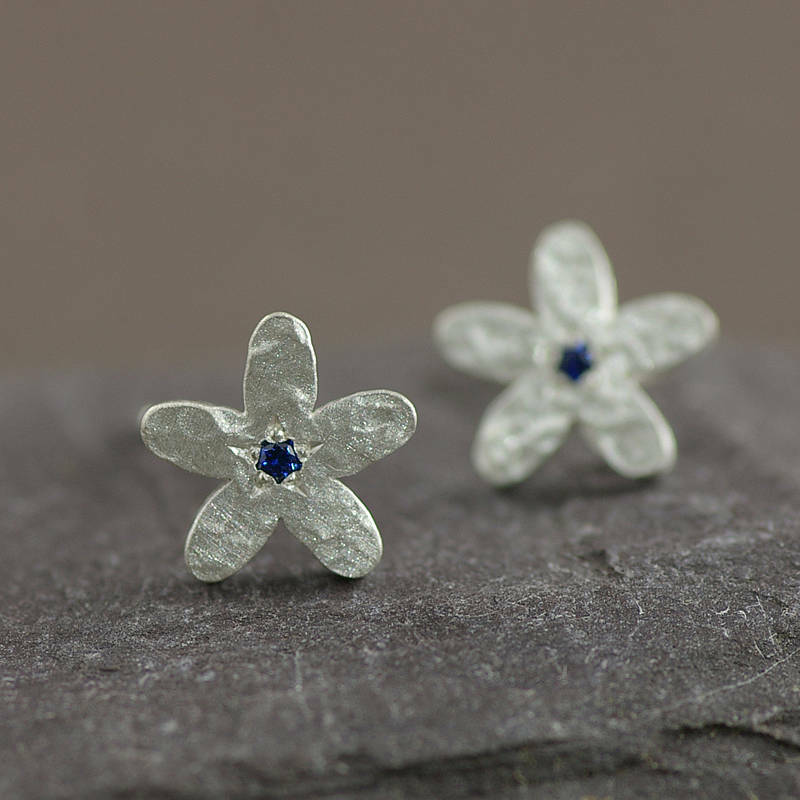 Made from sterling silver,and supplied in re-cyclable material.When not being worn,store silver jewellery in an air tight self sealing bag,to avoid tarnishing. 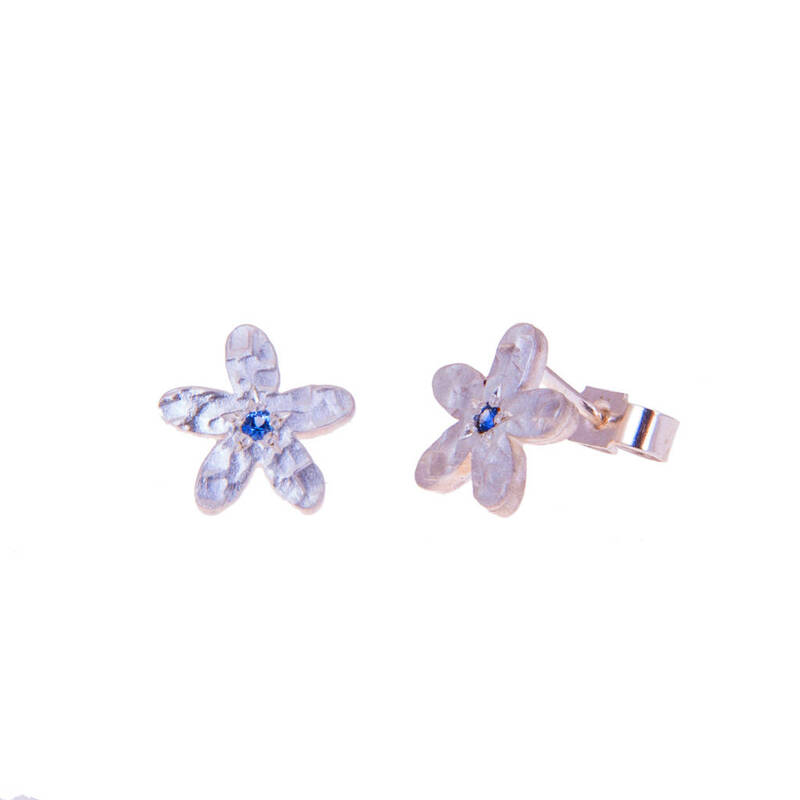 The stones measure 1.5mm,and the earrings measure approximately 1cm at the widest point.